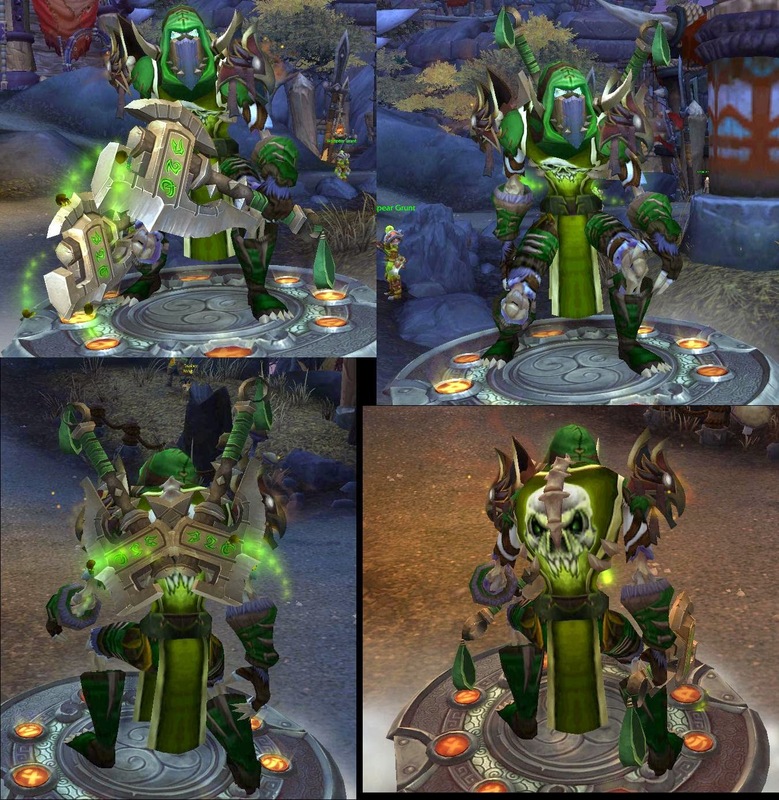 Master of World of Warcraft : Transmogrification: Undead rogue green leather set. Transmogrification: Undead rogue green leather set. Finally got a set to match my tabbard that I've worn since vanilla. I prefer sheath to back weaps because sheath to hip weaps wag funny when you walk. Also I went with dark phoenix shoulders instead of the typical matching green ones from ZA because I dont like how they look on undead and I do like the constant smouldering look of the dark phoenix. The tabbard is the battle tabard of the defilers it is horde only from being exaulted with the arathi basin battleground.